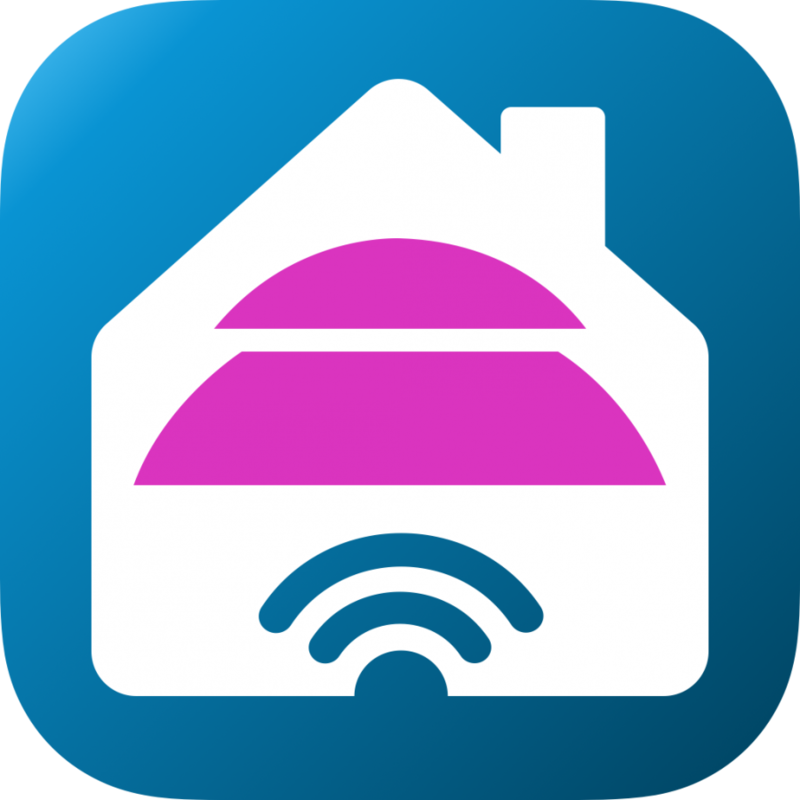 We love our Philips Hue and want you to have the best experience using yours. We have created an unparalleled ALL in ONE navigation experience for you. iPhone X ready Ease of navigation, ALL in ONE You ain’t seen nothing yet. It’s all about making your experience seamless navigating your Hues. We don’t like going back and forth in many list views. That’s why we have created an all in one view where we bring all key elements together. You can easily swipe your Rooms from left to right. 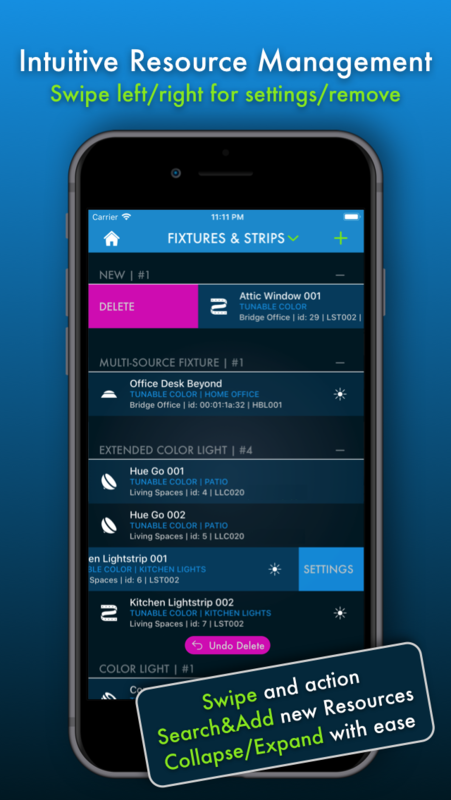 Flick a Room, quickly set a timer, change your lights using scenes or white ambiance presets and easily change the setup of a Room. We love, We Hue. Enjoy Drop that MASTER GROUP It all starts with the Room or Group in mind. 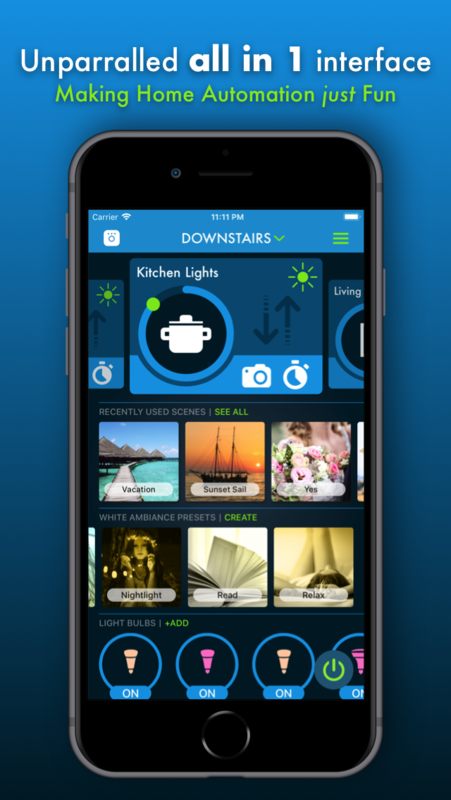 From your Room, you can pick a color, select a scene, quickly set a white ambiance color, change bulbs or add a quick timer. 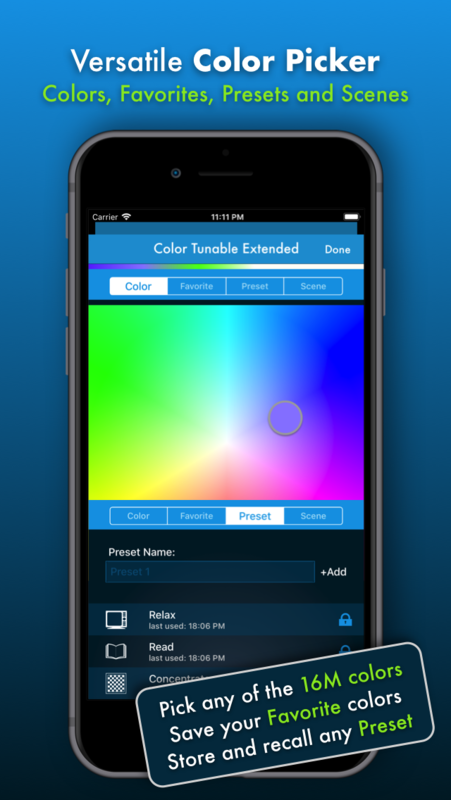 Use the brightness dial to adjust the atmosphere of the Room. Rooms are connected to a master grouping like “Downstairs”. Drop down the menu at the top and make your selection. 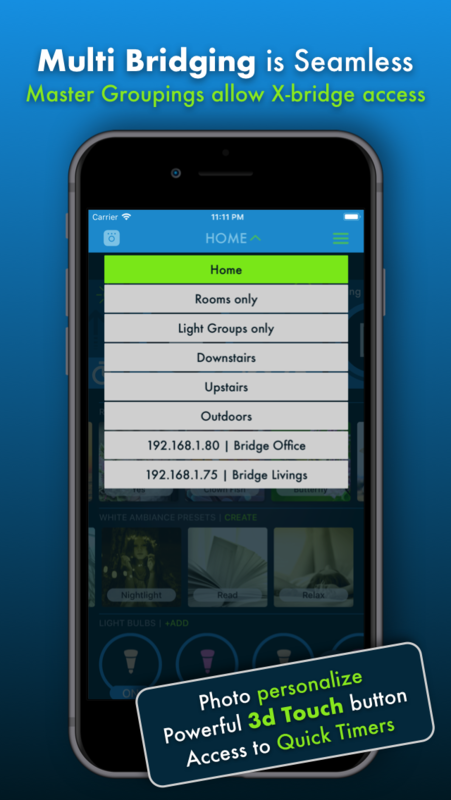 Rooms are automatically filtered MULTIPLE BRIDGEs We Hue integrates multiple bridges in a seamless way. You wouldn’t even know using the app you had more than one. Remove or add a new bridge at any time Cool features: FLICK that SWITCH You like flicking the switch “old style”. Just SWIPE the Room or Group up or down. When you swipe it up you’ll turn the lights ON, and when you swipe it down you’ll turn the lights OFF. 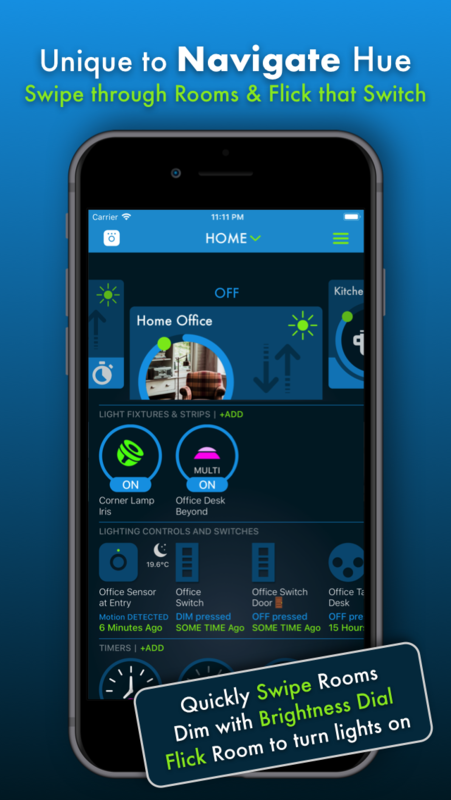 Switching your lights was never so much fun PICK that COLOR Tap within the circle of a Room or Light to open a versatile Color Picker. Within you can change colors, change color temperatures, use color favorites, create presets and have access to a collection of fantastic scenes.